In the high Ilfelin Mountains, the Elven armorsmith learned to channel and fuse the dangerous storms of their homeland to create masterpieces of war. The jewel of their effort is a metal known as Fulgurin. It is coveted around the world for its ability to absorb electrical energy and manipulate it on command. The production of the metal has all but stopped after the exodus of the Ilfelin Elves from their mountain citadels. 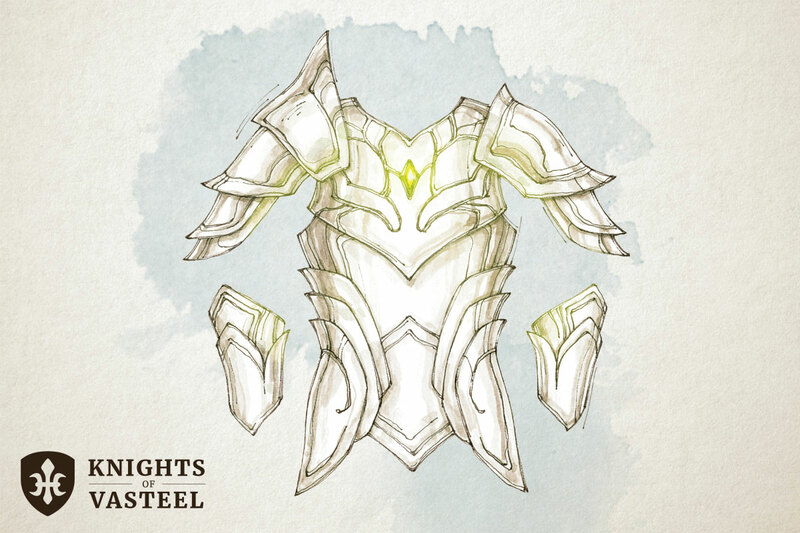 Even today, the astronomically high prices a newly fashioned piece of Fulgurin Armor could fetch are not enough to tempt the Elven-smiths to return their cursed land. You have a +1 bonus to AC while wearing this armor and you are resistant to Lightning damage. As a bonus action, you can speak a command word and a Longsword, Shortsword, Shortbow, or Longbow crackles into existence and drops into your hand. When attacking with the weapon, you gain a +2 bonus to attack and damage rolls and it deals lightning damage regardless of its type. If the weapon is released from your grip, it disappears with a loud clap.